The drive towards sustainability in flexible packaging today is resulting in retailers and consumers being faced with a virtual barrage of options. 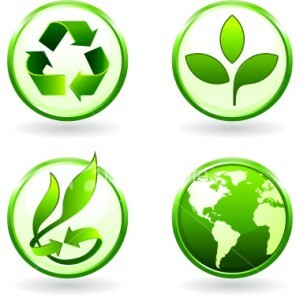 Everyone wants to be seen as being more environmentally aware, and nearly every business, whether in production, distribution or retail is scrambling to reduce their carbon footprint. These initiatives are being driven by a heightened awareness of the impact consumerism is having on the planet, and before long some of these initiatives will be mandated by governments around the world. So where do you start, and who do you talk to so that you don’t get it wrong? As of today and possibly for the foreseeable future, there will be no one single answer. Right now materials manufacturers around the world are pursuing all kinds of research to develop substances and ingredients that will fulfil both the requirements of a galaxy of packaging options and the need to be as environmentally responsible as possible. This responsibility is not just aimed at making shoppers feel good because they have taken their groceries home in the right type of bag, but also at the manufacturers themselves. The size of their carbon footprint in producing the packaging in the first place is just as important! The problem really lies with supplying customers with solutions that are going to fit their business model. A food retailer is not going to want the same packaging option as (say) a fashion retailer. And likewise, a timber supplier is not going to want the same packaging as a manufacturer of bulk powders. Elldex Packaging is taking the lead in monitoring trends around the world and is working with materials and packaging suppliers to develop environmentally sustainable packaging options across a wide range of industries. This research means we are increasingly able to suggest packaging options that will suit your business and both meet your carbon footprint goals as well as your bottom line. So this is where the right advice from the right people really will help. Contact Elldex Packaging first and we will work with you to develop packaging options that meet both your business needs and the needs of our planet.